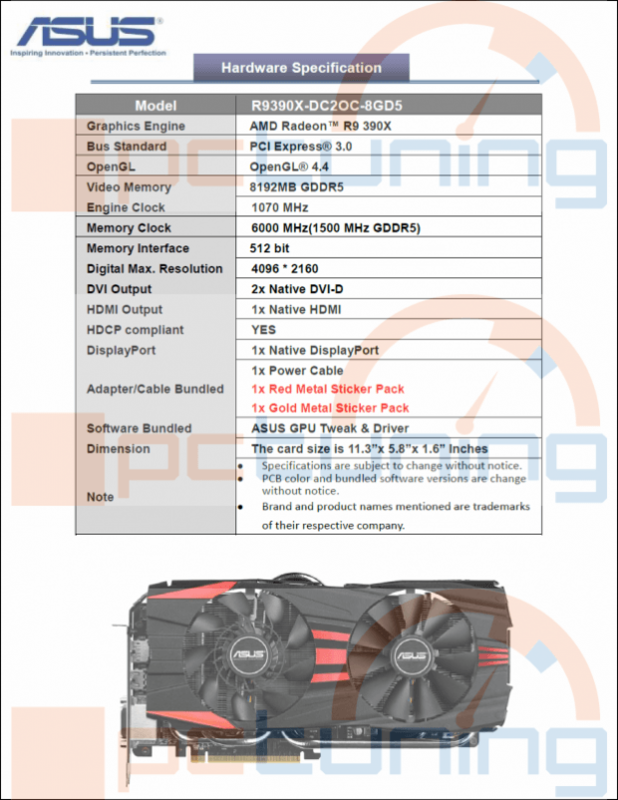 We are now looking at the Radeon R9 390x, which will be the flagship for the masses, as evidenced by its name – a successor of the Radeon R9 290x. Web has long said that in this case the renamed chip and unfortunately the truth. Radeon R9 390x is nothing more than Radeon R9 290x higher frequencies and higher memory capacity. Here we could finish our report, but we have something better – proof. Secret source gave us figure some cards, whose name says it all. Radeon R9 390x bears core Hawaii (Grenada), which operates at 1050 MHz clock in the base, the picture is OC version running at 1070 MHz.Memory instead of 5 GHz with Radeon R9 290x ticking at 6 GHz, which is a solid shift, due to the great capacity of 8 gigabytes Everything else is the same as the Radeon R9 290x, TDP, size, and appearance of the card – as evidenced by the document. 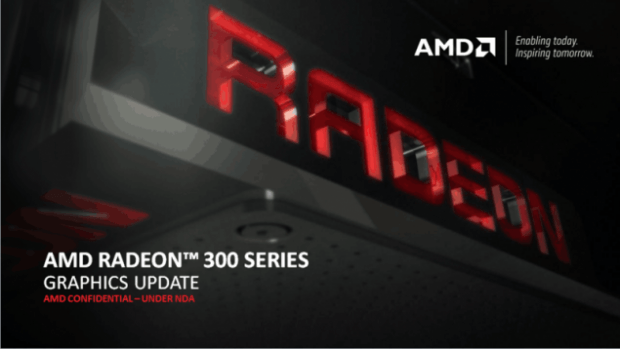 What to say, except that it confirms the long trashed speculation that Fiji and based on it will be the only new card from AMD for the year 2015. Due to the factual nature of the Radeon R9 390x, it is clear that the Radeon R9 390, 380X and 380 will surely only cards with chips relabelled Hawaii and Tonga. ASUS has two 8-pin PCIe connectors on the card, and an estimated price of around $449 when it launches later this year.